Great connections with friends & supporters at this year's Annual General Meeting! Missed it? Find out about what we've been working on and what's ahead by visiting our blog - click here! You can renew your membership or make a donation online by clicking here! to everyone who helped with the food, the chai, the sweets, the set-up and the clean-up! 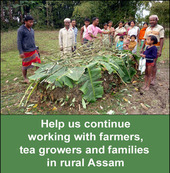 Fertile Ground and our partners in Assam will be offering opportunities for volunteers again in 2016. Do you love organic farming? 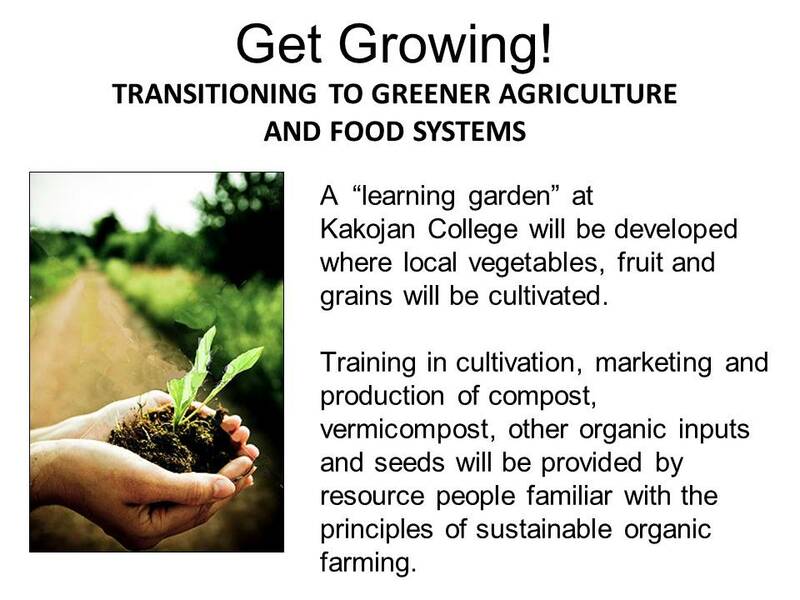 Know how to make compost or use a digital camera to produce simple videos? 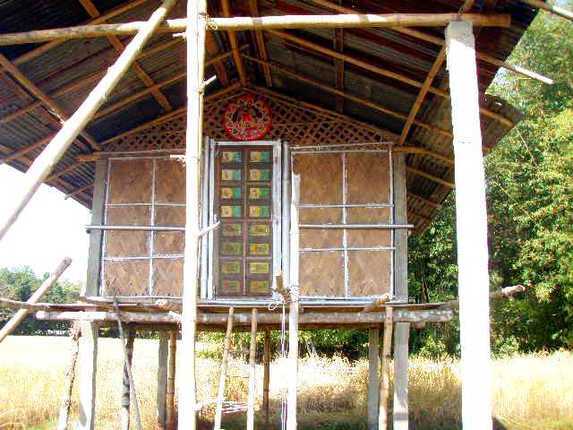 Interested in learning about the people and cultures of north east India? Contact us for more details! Planting seeds of knowledge and protecting important seeds of Assam! indigenous paddy (rice). 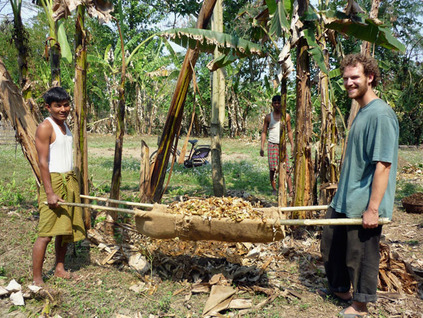 Mahan has also collected seed of many traditionally-grown vegetables, including brinjal (eggplant), chili and bean. 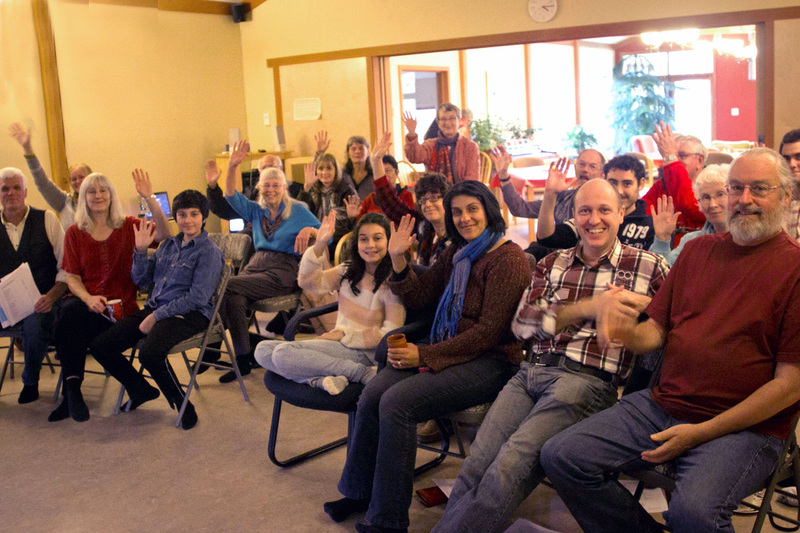 Reflections on our 2014 AGM! 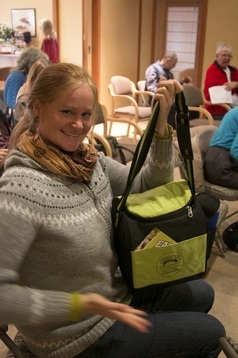 Congratulations to Jennifer Pickford and Judy Goldschmidt - winners of the two insulated bags full of organic sprouts, oils and other goodies generously donated by our friends at Eatmore Sprouts! Tax receipts available for donations of $25 or more. In northeast India, there is still limited support available for farmers and growers following local farming methods, or for those interested in incorporating organic agriculture practices such as composting, mulching, and natural pest control. 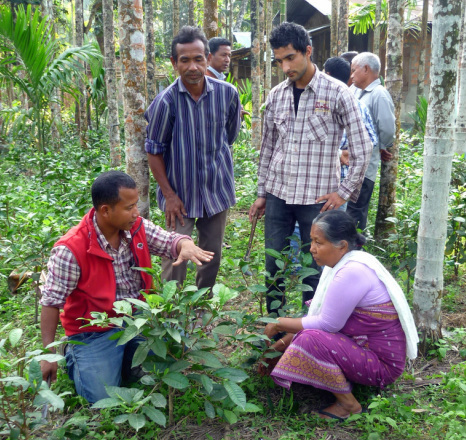 For the past 12 years, Fertile Ground has provided encouragement, training and resources to farmers, small-scale tea growers, extension staff, teachers, students and families living in the state of Assam. Our projects support people to grow healthy food by combining important elements of India's traditional knowledge with simple organic practices that make use of locally available materials. 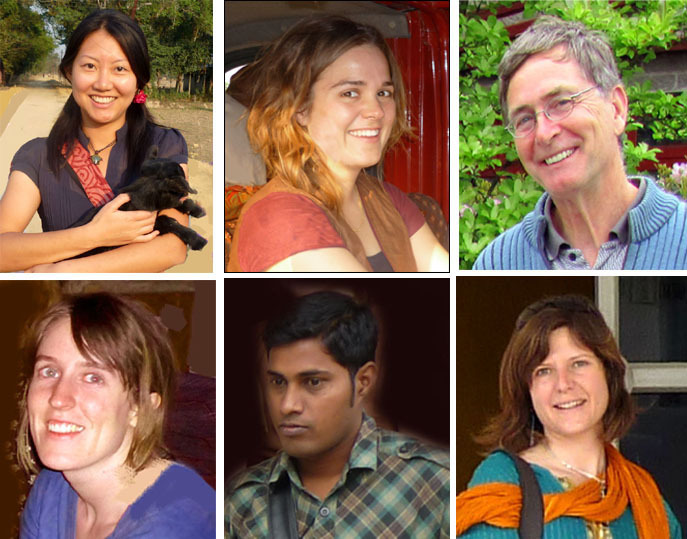 Just a few of the terrific volunteers who've traveled to Assam to work with us ! 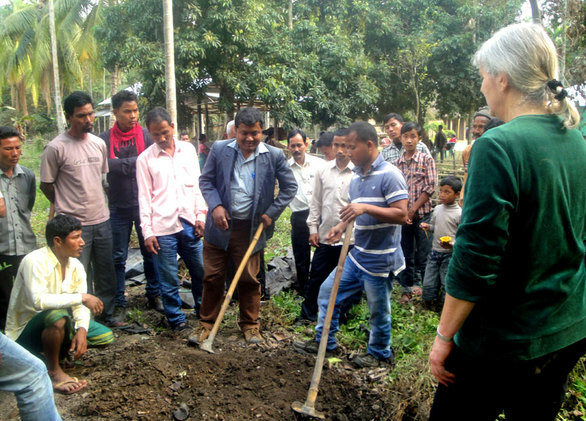 Mitch Brost, a recent graduate of Camosun College's Environmental Technology program, volunteered with Fertile Ground's projects in Assam. VOLUNTEER OPPORTUNITIES on Vancouver Island and in Assam. 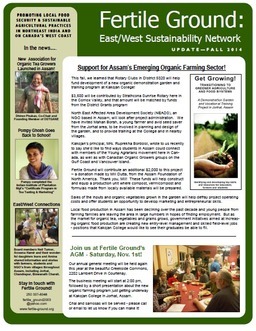 Stengthening connections with small-scale organic tea growers! 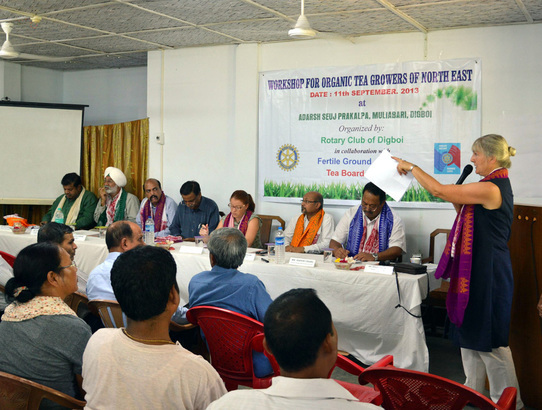 For the past 2 years, growers from Assam, Tripura, Nagaland, Arunachal Pradesh, Bhutan and Meghalaya have taken part in meetings organized by OSTGANE, the Organic Small Tea Growers of North East (India). OSTGANE was created in response to a meeting organized by Pompy Ghosh, a staff member at Adarsh Seuj Prakalpa located in Digboi, Assam. 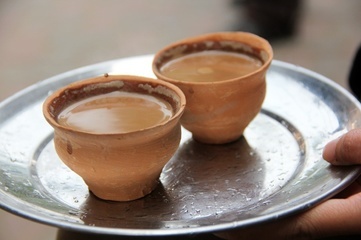 Things could be looking up for some of Assam's small-scale tea growers! 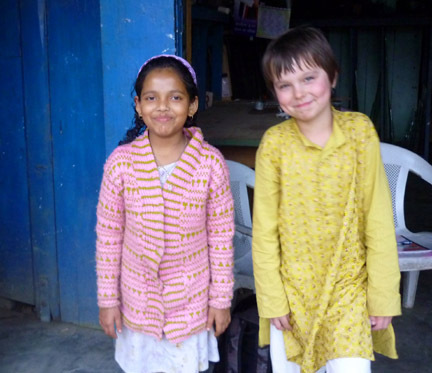 Find out how Kids to Kids has made connections between young people in Canada and Assam - or watch some neat videos about past projects - just cllick on the photo above! 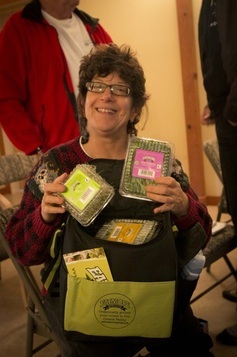 Read more about last October's event by clicking here or visiting our new blog!